There’s an advertisement in horse magazines that always gets my attention. 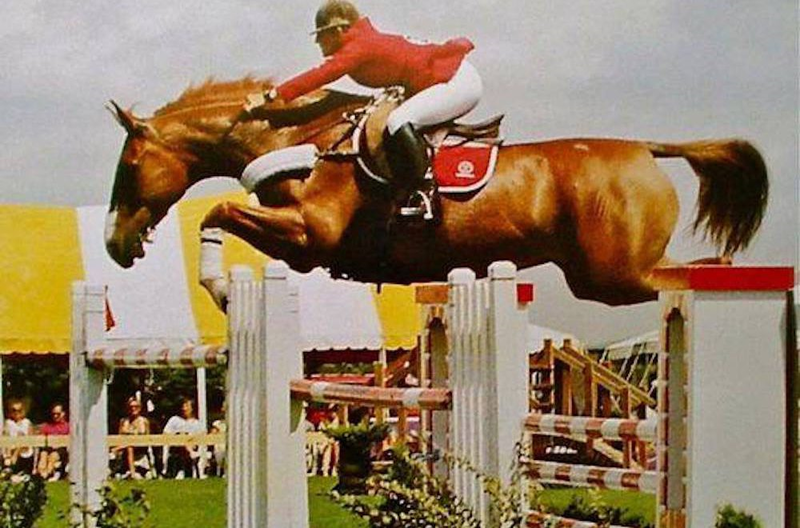 It says something like, “your horse has never colicked until he does.” Something like that. It came to mind as I thought about the Lilac Fire in northern San Diego County that erupted with the same “until it does” urgency on Dec. 7, a day already infamous as Pearl Harbor Day. On a more personal level, also my late father’s birthday. I was rushing to leave for an appointment at the Apple Store in Temecula, late as usual, when a friend from the barn called to tell me about a fire a couple miles from where I live in Fallbrook. The Santa Anas had depleted the air of any humidity a day earlier. I’d noticed my horse’s tail electric when I’d brushed it the night before. But fire? I turned on the TV as the friend suggested. It was close, but with little sign beyond the TV news coverage of getting urgent. I was packing a suitcase, already had my laptop out, and got dog and cat food ready as well as the carriers. I wasn’t really thinking about the barn at that point –only that I’d get a few things together in case. Two hours later, when a mandatory evacuation alert reached my street, I set off with a crying cat and worried dog, in the car, thinking I’d gotten things handled pretty easily on short notice. Few situations are more terrifying than an oncoming wildfire seemingly intent on consuming all in its path. October’s headlines spoke of the loss from California wildfires that leveled towns and took lives of both people and animals. This year’s fires were the worst in state history. Insurance data reports that from Oct. 6 to Oct. 25, eight counties in Northern California were hit by a devastating outbreak of wildfires which led to at least 23 fatalities, burned 245,000 acres and destroyed over 8,700 structures. The California Department of Insurance said that as of Oct. 26, losses reported from 15 major insurers totaled $3.3 billion. When the heat is on, volunteers step up, using what resources are available to assist. In the case of Marcy Goodman, the longtime Project Manager for the Western States Horse Expo, that meant using all means possible to reach people who could help as well as those in need. Even though the major fires were hundreds of miles away, Goodman knew she had to do something — quickly. Miki Nelsen, owner of Western States Horse Expo, gathered staff for ideas and immediately sent an email broachcast to the Horse Expo community, asking for help for the fire victims and their animals. Midwest native Mark Matson became a horse trainer after attending college in Ohio, starting out as a horse trainer’s assistant and eventually working for some of the world’s top trainers. 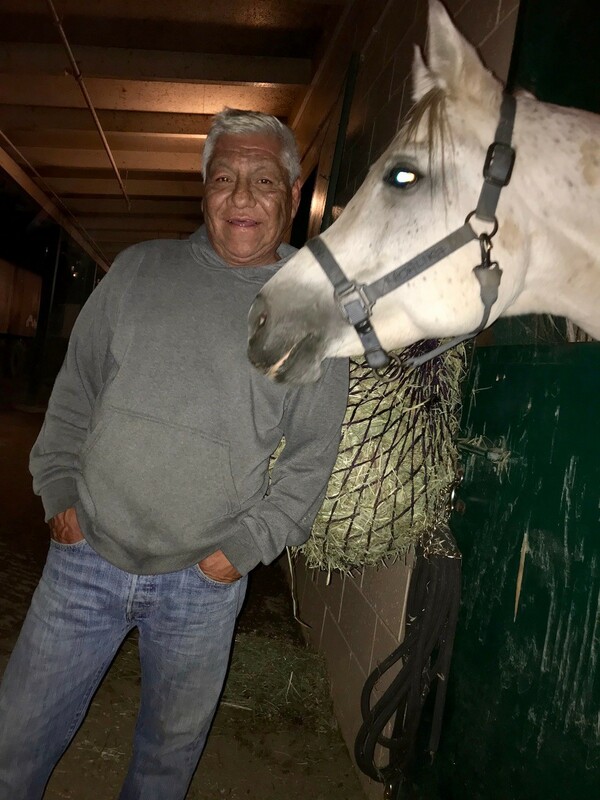 After eight years of assistant trainer experience, Mark went out on his own in 2001, competing in the National Reined Cow Horse Association and Working Cow Horse of the AQHA. He is a founding member of the Southern California Reined Cow Horse Association and served as President of the Valley Cow Horse Association for four years. Mark trained multiple National Champions in the NRCHA and was the 2005 NRCHA Open Hackamore World Champion. Today, he owns the Temecula Carriage Company with his lovely wife, Marika, and their 3-year-old daughter, Annabel. They offer horse drawn tours through the Temecula Valley Wine Country and conduct special events throughout Southern California. 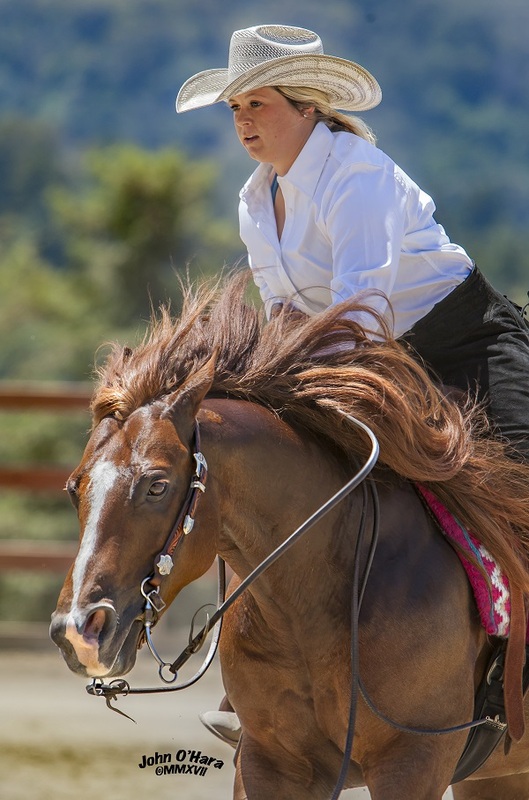 TEMECULA – Ingrid Vangelos can remember her childhood days in the Bay Area when she and her sister, Ruth Noring, chased one another around the house with horse whips. 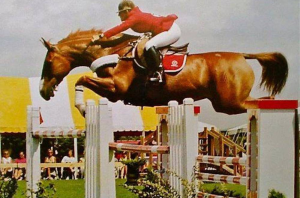 The siblings have a horse-riding history, from their first ponies and hunter-jumper action to a point after college where horses vanished for a while. They’ve come full circle after rekindling their horse lives, and now are both active competitors as members of the Southern California Reined Cow Horse Association. Corey Cushing went 1-2 in the NSHA Open Futurity, winning $25,055 for the title on San Juan Ranch’s SJR Smooth Rio (shown here) and another $16,006 for the reserve on Moonstruck Striker, owned by Wendy Dunn. 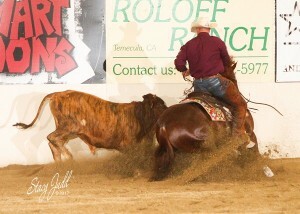 PASO ROBLES — The National Reined Cow Horse Association moved its World Championship Snaffle Bit Futurity to Fort Worth starting this year, but the cradle of reined cow horse still runs strong. The California-based National Stock Horse Association held its biggest gathering of the year Aug. 22-27 at the Paso Robles Events Center, and the only thing hotter than the heat wave was the competition. The payouts were downright cool, especially for Corey Cushing, who took first and second in the NSHA Open Futurity on SJR Smooth Rio (Smooth As A Cat X Shiners Diamond Girl), owned by San Juan Ranch, and Moonstruck Striker (Dual Rey x Moonstruck Cat), owned by Eric and Wendy Dunn. The impressive payouts for the Championship ($25,055) and Reserve ($16,006) along with Cushing’s other money-placing — aboard Kevin and Sydney Knight’s Maliblus Most Wanted in a tie for 16th ($1,539) tallied up to a $42,600 take-home in the class. In the Futurity Intermediate Open, the 2016 World’s Greatest Horseman Champion, Clayton Edsall, rode Bet He Sparks (Bet Hesa Cat x Sparking Train) to the win with a 658.5 composite score. Owner K & L Phillips LLC went home with a check for $8,418, along with an additional $9,234 from their fourth-place finish in the Open. Paige Pastorino and Taylor Made Magnum swept both DRHA Rookie slates and took home her first trophy saddle as DRHA High Point. In its 18th year, paid out in excess of $250,000 in cash and prizes, ensuring its place on the Top 10 of the National Reining Horse Association’s event list. The Lucas Oil Open Derby is one highlight of the event. The Bay Arena is 150’ wide by 300’ long, and the footing is meticulously prepared and groomed to provide the most optimal footing for tough competition. This year, a new record for the event was achieved when NRHA 4 Million Dollar professional Andrea Fappani took a clean sweep of the Lucas Oil Level 4 Open Derby winning first, second and third on his three mounts. The palomino mare Wimpys Little Tag, Whiz N Tag Chex x Wimpys Little Chic, showed off her exceptional talent those bloodlines gave her by marking a 227.5 for owner Freddie Brasfield from Tennessee and a paycheck of $12,929. TEMECULA — With $20,000 in added money and the region’s top competition, the Southern California Reined Cow Horse Association put on another marvelous springtime event, the Jimmy Flores, Sr. Derby and Non Pro Triple Crown. 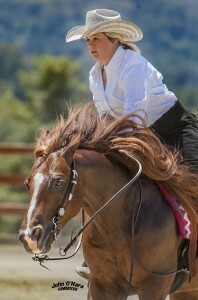 The four-day show May 18-21 included two full slates of horse show classes. In the Open Derby, Nicolas Barthelemy shined on Manuel Rojo’s WRS Shiney Diamond, outdistancing reserve champions Shadd Parkingson on Hannes Winkler’s Cattin Downtown and Tucker Robinson on San Juan Ranch’s SJR Oaks Natasha. The win paid a winner’s share of $2,560, with the riders in the two-three split taking home $1,792 each. 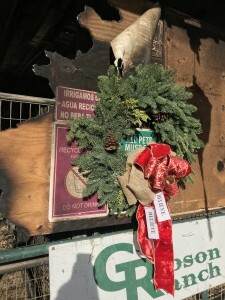 SAN JUAN CAPISTRANO — Since 2012, Legolas 92 and U.S. Team rider Steffen Peters traveled the world together and have a multitude of titles to their credit, including a Team Bronze Medal from last summer’s Olympic Games in Rio de Janeiro. White-O’Connor’s weekend got off on the right foot as she piloted Legolas to a hard-fought win over a field of 12 competitors in Friday’s CDI Grand Prix with 73.780%. 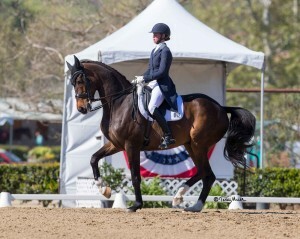 The pair then returned to the main ring at the Rancho Mission Viejo Riding Park with another solid performance in the Grand Prix Special, topping the leaderboard with 73.706% in their inaugural outing in this notoriously-challenging test.